Free Screen Shot Capture Tool iCapture For Windows 7 is developed by CyWin. It is a ZIP download, the file is very light, only 181 KB in size. This Article Has Been Shared 9127 Times! Glassy Icon Link Widget for Windows PC is an excellent widget for your Windows PC. It is a transparent desktop widget with links to Social Networks and folders. Equalizer Style 8 Band CPU Meter Widget for Intel i7 PC is an excellent and unique innovative widget for your Windows PC. It runs on XWidget Engine. 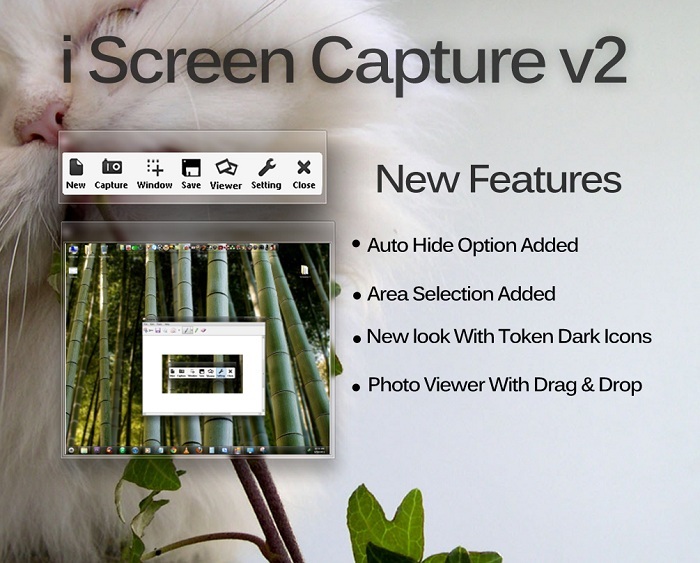 Cite this article as: Abhishek Ghosh, "Free Screen Shot Capture Tool iCapture For Windows 7," in The Customize Windows, October 29, 2011, April 21, 2019, https://thecustomizewindows.com/2011/10/free-screen-shot-capture-tool-icapture-for-windows-7/.